CONCORD, NH (AP)- Supporters of a bill aimed at preventing animal cruelty and sparing towns from spending a fortune on seized animals say it will protect both animals and taxpayers. But opponents worry it will harm hobby breeders and violate defendants’ rights to due process. 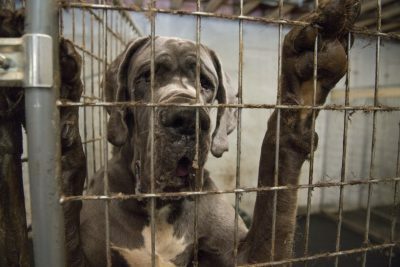 Republican Sen. Jeb Bradley sponsored the bill after a breeder in his hometown of Wolfeboro was accused of keeping dozens of Great Danes in filthy conditions last year. Among other things, it would allow a judge to determine the reasonable cost for caring for seized animals. If a defendant doesn’t pay, the animals can be adopted rather than being held as evidence. The American Civil Liberties Union of New Hampshire opposed that provision, saying it would allow animals to be forfeited without any finding that animal cruelty has occurred.